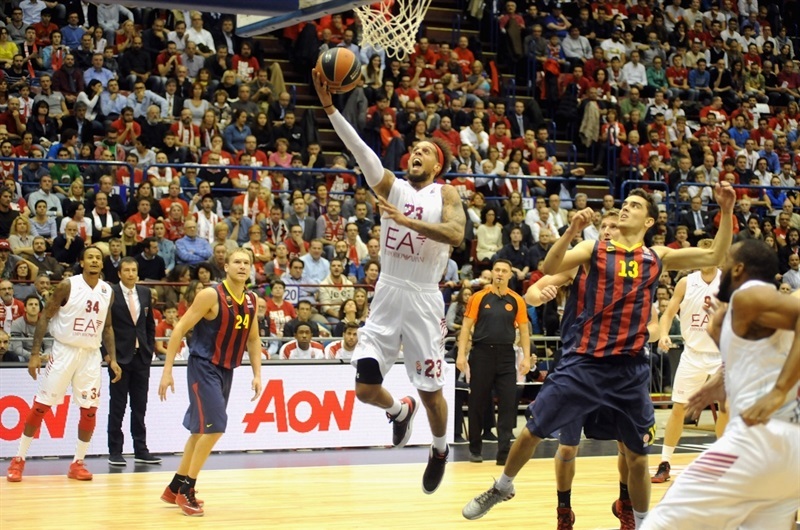 FC Barcelona went on the road and took care of business, hitting 11 three-pointers in downing EA7 Emporio Armani Milan 63-78 on Thursday night. Barcelona improved to 2-0 for a share of first place in Group C, while EA7 Milan dropped to 0-2. Barcelona got hot midway through the first quarter, going on to hit 8 of 12 three-point attempts in the first half. 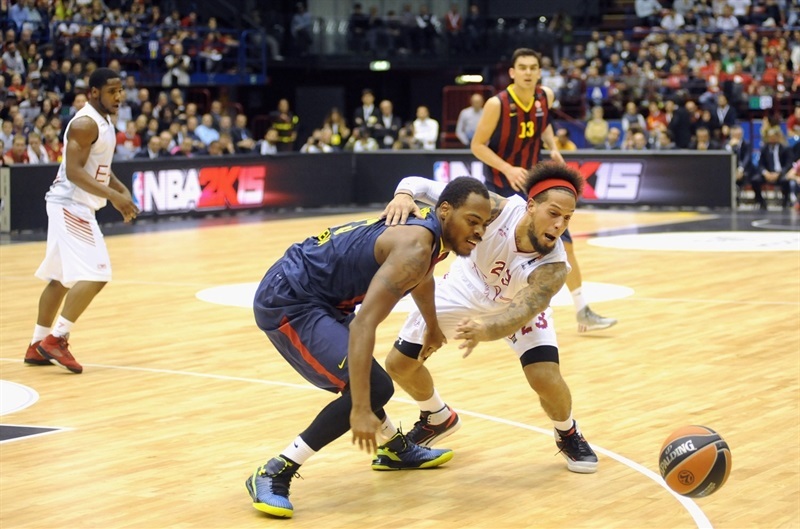 DeShaun Thomas hit three early on, then Alex Abines nailed a pair from downtown in the second, and Tibor Pleiss made his presence felt inside, as Barcelona put together a 1-15 spurt that opened up a 22-40 lead. The visitors took a 32-45 advantage into halftime, and never looked back as the hosts did not come closer than 8 points the rest of the way. Abrines finished with 21 points, hitting 5 of 5 three-point shots, while Pleiss scored 16 on a perfect night - 5 of 5 for two-points, 1-for-1 three-pointers, and 3 of 3 foul shots – and grabbed 6 boards. 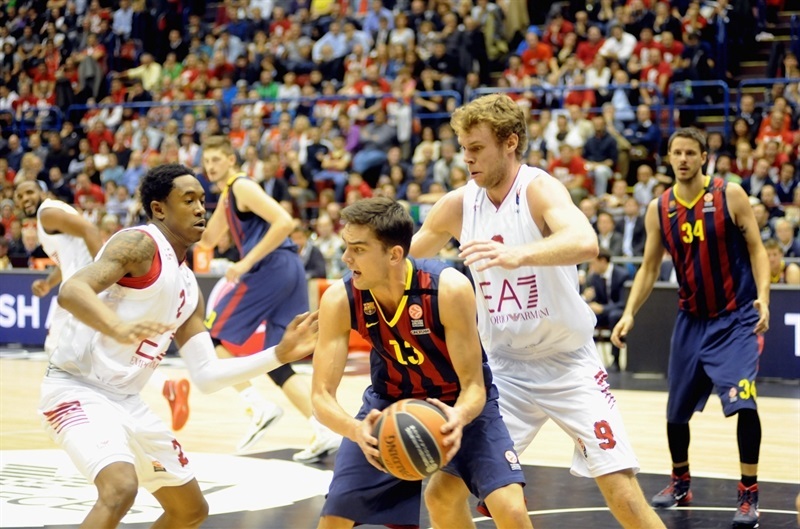 Thomas finished with 12 points in victory, while Tomas Satoransky made his debut with 5 points plus 6 assists. Milan dominated the offensive glass with 19 offensive rebounds, as Daniel Hackett scored 15 points, and Alessandro Gentile had 11 points, 8 assists and 7 rebounds. 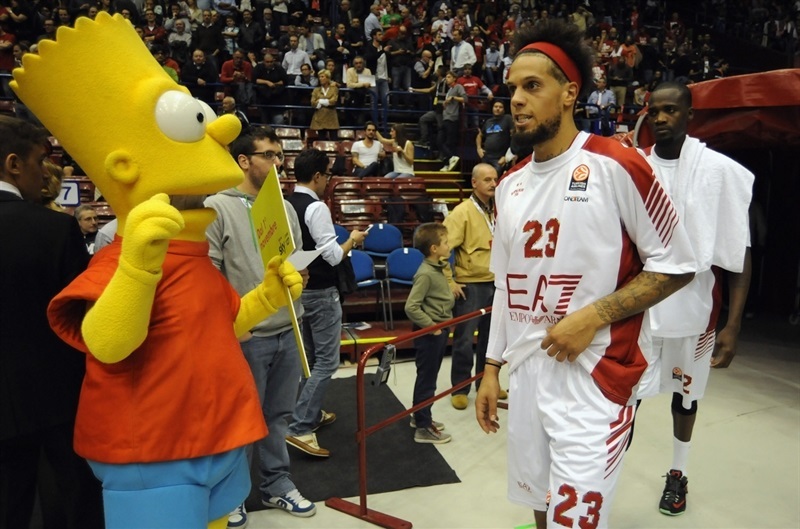 Samardo Samuels also scored 11 with 7 rebounds, while Linas Kleiza added 10 points in defeat. The defenses got the best of the offenses early on. 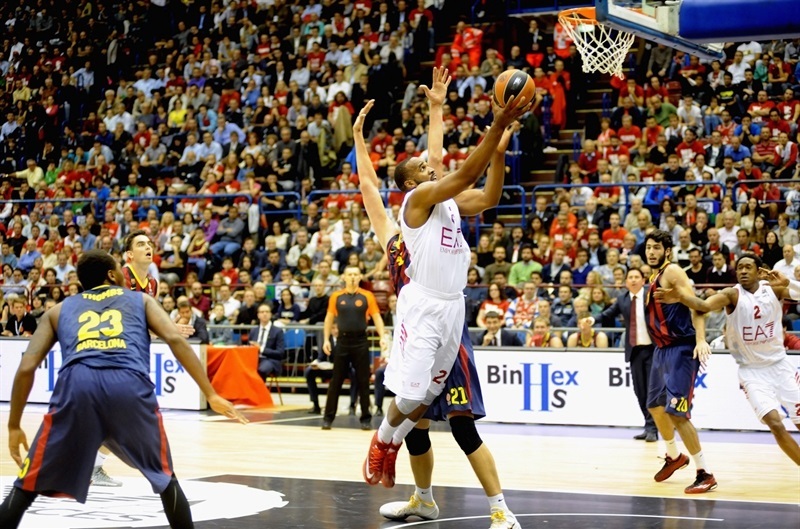 Gentile scored inside for the hosts, and Thomas hit a three-pointer for Barcelona for the only baskets in the opening theee minutes. Samuels scored a layup-plus foul, and Gentile drove for a layup on a fast break to make it 7-3. Brad Oleson replied by banking in a runner, before Hackett hit a triple and Gentile fed Samuels for an easy dunk, 12-6. Thomas answered with another triple, and after Hackett's driving layup, a third triple from Thomas made it 14-12. Gentile countered from close range, before Oleson connected on a long jumper. After a Milan timeout, Barcelona finished the quarter with back-to-back triples from Abrines and Justin Doellman for a 17-20 lead after 10 minutes. 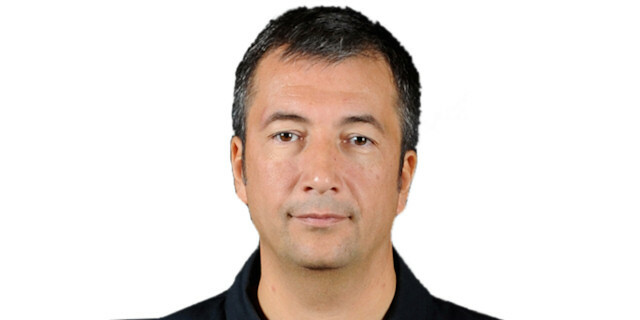 Pleiss opened the scoring in the second quarter with an easy layup, and after Kleiza nailed a turnaround jumper, Abrines knocked down Barcelona's sixth triple for a 19-25 lead. Marshon Brooks drove for a runner, but Satoransky answered with his first career Euroleague basket. Abrines followed with another triple, and Mario Hezonja drove for a layup to open up a 21-32 margin. After a Milan timeout, Barcelona continued its run with a basket-plus-free throw from Pleiss, and the big man added a pair of free throws to the tally. 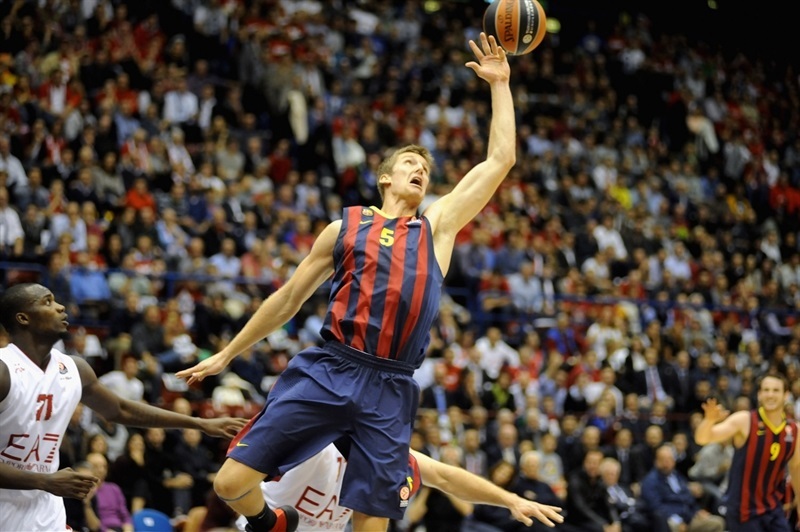 Kleiza split free throws to end Milan’s drought, but Bostjan Nachbar nailed a long fadeaway jumper to cap 1-15 Barcelona charge that made it 22-40. Shawn James snapped the run with a put-back, and after Kleiza scored off a spin move inside, David Moss nailed a corner three-pointer to cut the deficit to 29-40. The visitors were held scoreless for 3 minutes, but Marcelinho Huertas hit a three and then dished a behind-the-back pass for a Doellman fastbreak layup and a 29-45 advantage. At the other end, Hackett finished the half with a driving layup-plus-foul that made it 32-45. Ante Tomic started the second half by dishing to Oleson for a reverse layup, but on the other end Nicolo Melli raced for a fastbreak dunk and Samuels muscled his way inside for a layup. 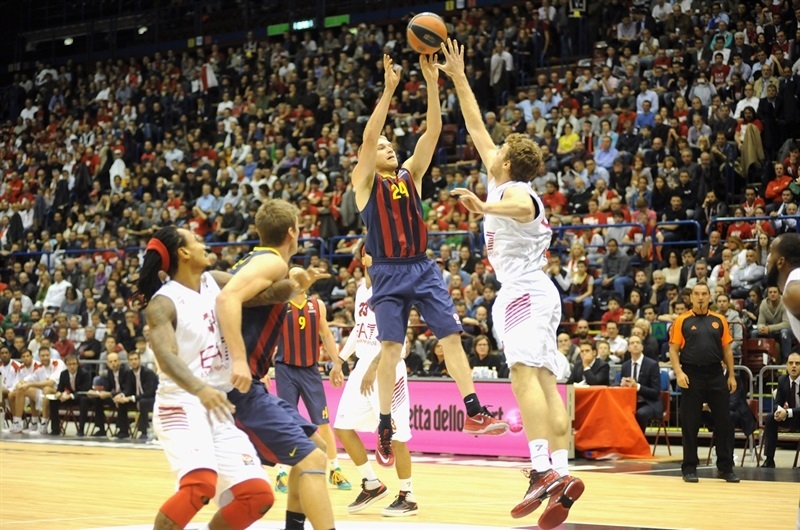 The hosts worked hard on the offensive glass, which helped them cut it to 39-47, and kept Barcelona to only one field goal for almost six minutes, which allowed Milan to stay in the game. Thomas snapped the visitors’ drought with a difficult basket-plus-foul from close range, and Pleiss worked his way for a layup that made it 40-54. After a basket from Hackett, Abrines nailed a long pull-up jump shot, and Samuels answered with a layup-plus-foul to get to 45-56. 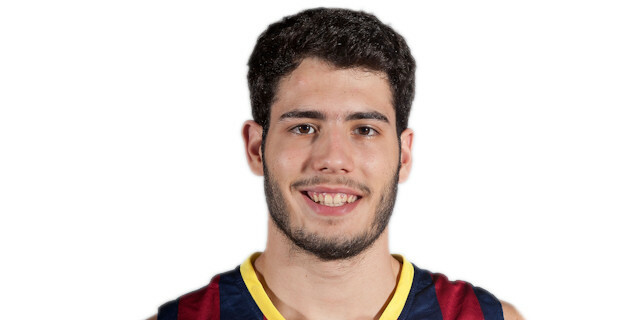 But Abrines was unstoppable, driving the lane for a runner, and after Hackett hit a mid-range jumper, Abrines nailed a triple – his fourth in as many attempts. 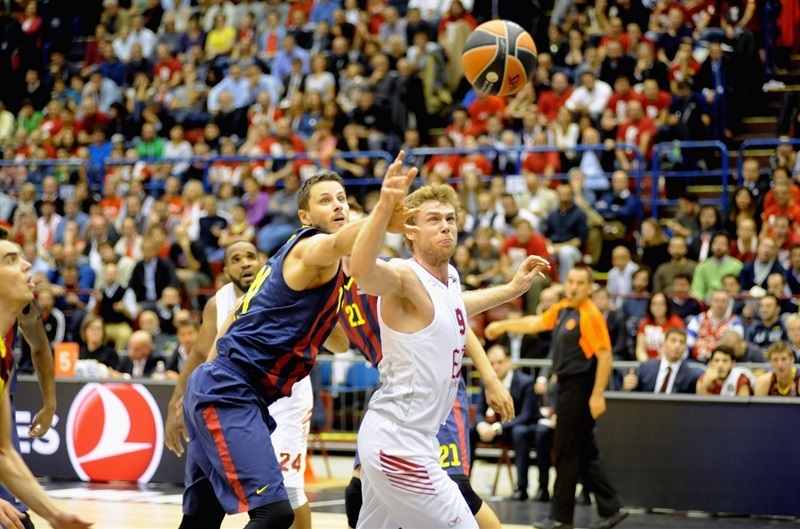 Pleiss finished the quarter with an easy short-range shot, giving Barcelona a 50-63 cushion after three quarters. 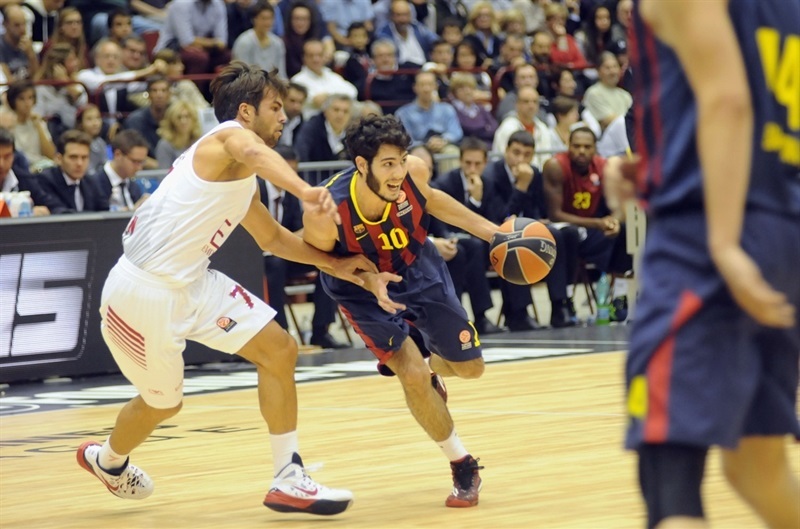 Abrines continued where he left of, hitting his fifth three-pointer at the start of the fourth quarter for a 16-point margin. Hackett scored on a short jumper, but Nachbar made a dunk on an assist by big man Tomic, extending the difference to 52-68. James made a tip-in as one of the final attempts to rally Milan, and after Tomic scored a layup, Kleiza connected on a baseline floater and a corner triple, followed by James who scored from close range to make it 61-70. After a Barcelona timeout, however, Doellman nailed a jumper to snap a 9-2 run, and Pleiss hit a long jumper for a 61-74 score, putting the game out of the hosts’ reach. James scored inside, but Pleiss knocked down a three-pointer to close it out. "I have a big regret because we started very well, but were unable to keep the same intensity and aggressiveness for all 40 minutes. It's very hard to compete against a team like Barcelona, and our decline in the second quarter did not give us any possibility. Then they had a shooting performance that was close to perfect, with an outstanding 8 of 12 on three-pointers at halftime, and when we tried to come back, they never allowed us to get really close. 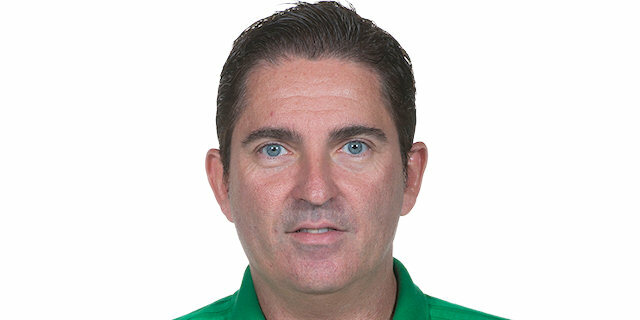 It's true that we have many new players, but I'm awaiting more energy, intensity and participation from them." "It was a very good game for us. We will see what happens in the future, but today we are very happy. We started the game too soft, but after the first timeout we changed our mentality. We improved a lot and in the end, this is a very important win." "We had a great start, then they increased their defensive intensity and we were unable to execute our plays and get to our goal. Also we played bad defense, never containing them, and the second quarter made the difference. We shot 17 percent from downtown: it's unacceptable, and makes it impossible to win a game at this level against a team like Barca. In the second half, every time that we got closer they found a great play. Now, we have to work hard to become a solid team, and the old players have to reset their mind because this is a new team and a new season." "I felt like I could make everything. After I scored the first three-pointer, everything went the right way. We did a great job. 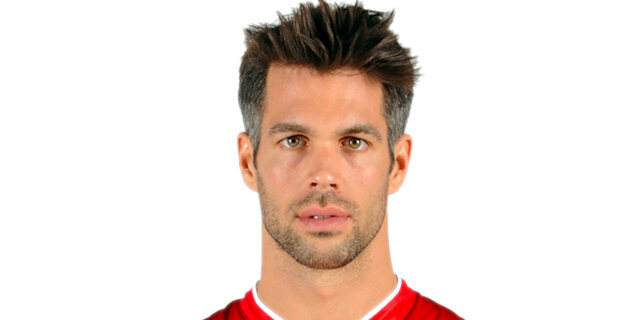 It was difficult because we know how Milan plays, with a lot of contact. But we held them in the third quarter, did a great job, and that is why we won this game."